Danai Gurira attends the 90th Annual Academy Awards at Hollywood & Highland Center on March 4, 2018 in Hollywood, California. 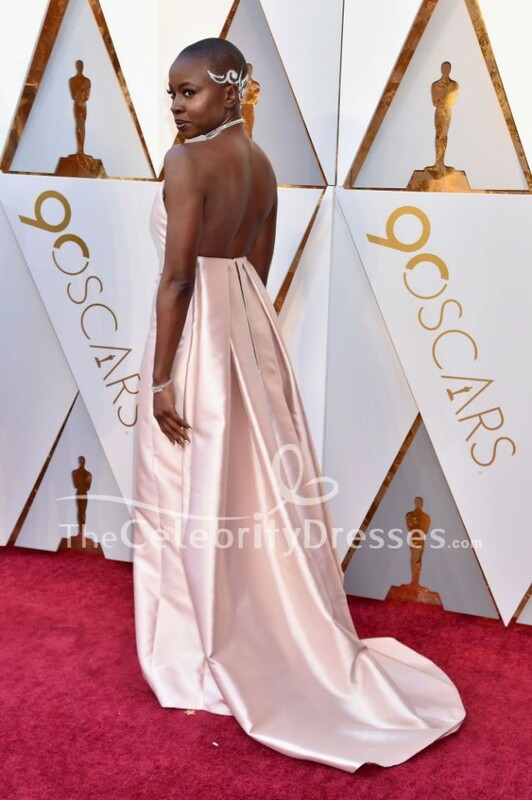 Danai Gurira wowed at the 2018 Oscars on Sunday (March 4) at the Hollywood & Highland Center, joining Meryl Streep, Greta Gerwig and Margot Robbie. 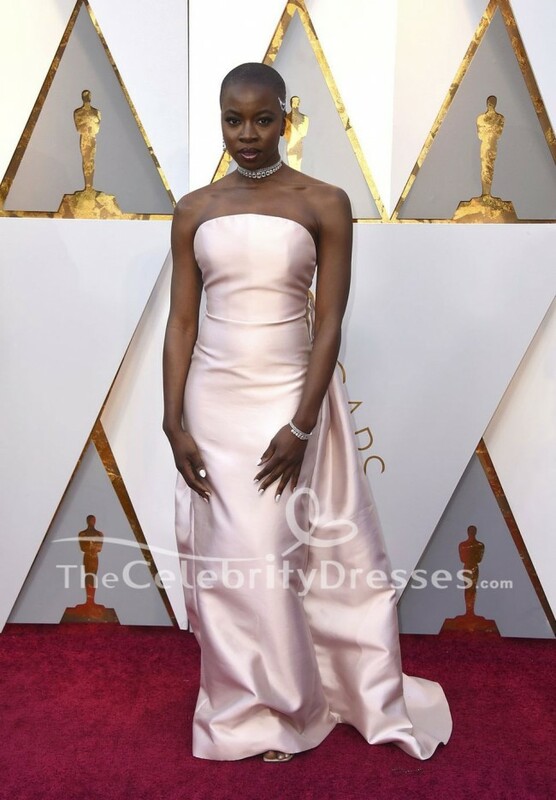 Oyster pink normally projects a girlish innocence, but when I saw the ‘Black Panther’ actress in her pink strapless gown, all I could think was ‘fierce.’ I am enamoured with the juxtaposition of the pastel shade with the curving strapless neckline and bustle.